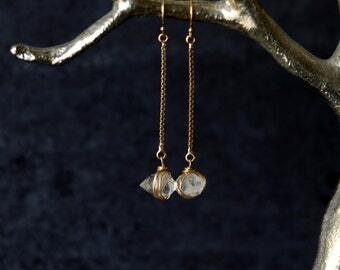 I've wire wrapped these faceted rutilated quartz drops and suspended them from textured circles with 14K goldfilled earwires. 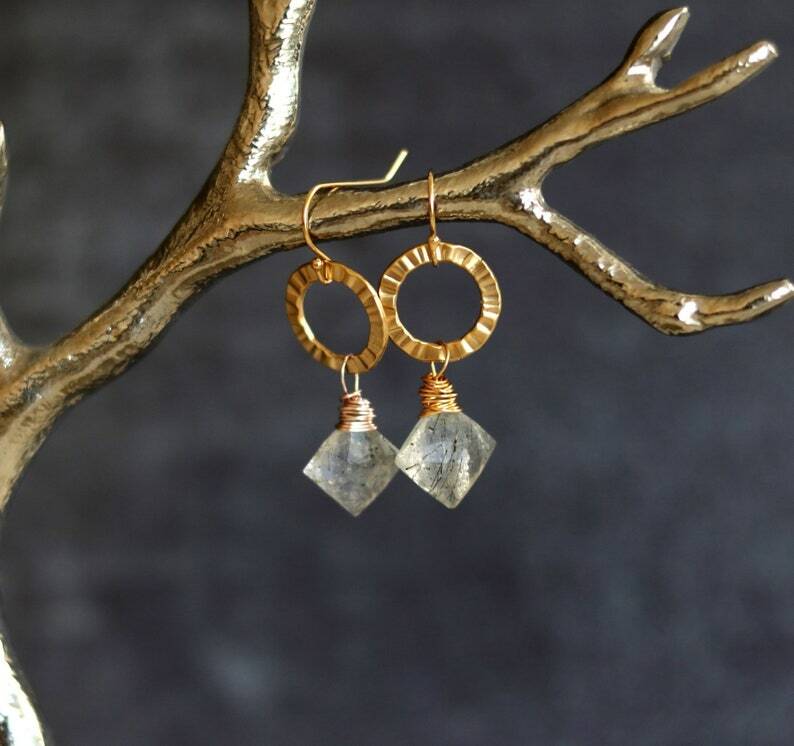 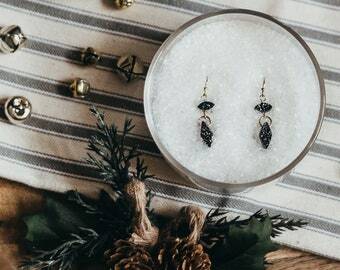 Each quartz has tiny black needles or rutiles, making each pair very unique. 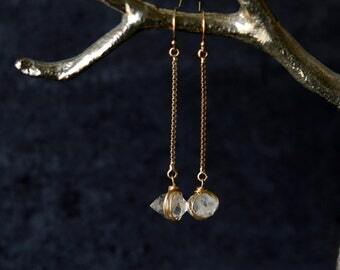 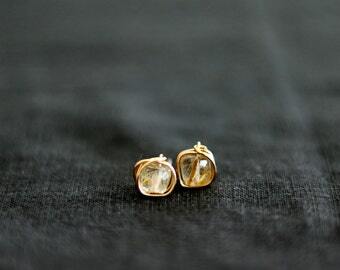 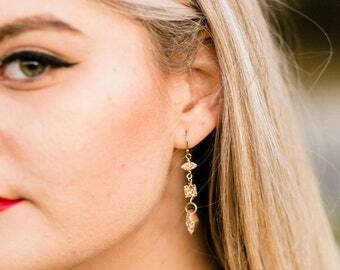 Quartz is the birthstone for April birthdays.